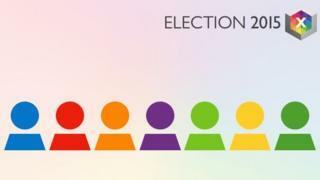 Thousands of candidates will be vying for votes across the UK on 7 May. Who are the people who want to be MPs? The main political events during election campaigns tend to focus on big names and high-profile candidates. But there are thousands of people standing for Parliament in the UK's 650 seats. The BBC election team has been collating information on all the men and women standing around the United Kingdom. The data shows a total of 3,971 people are standing for Parliament. That is the second highest number ever, surpassed only in 2010 when 4,150 people stood at the general election. The Conservatives have the most candidates (648) followed by Labour (631) and the Liberal Democrats (631). UKIP with its 624 candidates and the Green Party with 573 are both standing in more seats than ever before. The SNP is standing in all of Scotland's 59 constituencies while Plaid Cymru are contesting all 40 in Wales. Both have done so in all recent elections. The most dramatic reduction in candidate numbers is from the BNP. In 2010, the party stood in 338 seats, but this time it is contesting just eight. There is also a total of 757 others standing at the election - a figure that includes candidates from Northern Ireland, those from the smaller parties across the UK, and independents. One of the notable characteristics of the BBC's opposition leaders' debate was that a majority of the participants were women. In the seven-way debate on ITV female participants made up more than 40% of the panel. This election sees the highest percentage of female candidates ever with just over a quarter - 26.1%. That is up from 21.1% in 2010. But this year's figure is still considerably lower than the proportion of the population which is female (the 2011 census showed more than half of people living in the UK are women). There is also disparity within the parties over the proportion of female candidates. Two of the parties with the highest female representation in candidate terms have women leaders. The Green Party, lead by Natalie Bennett, has the highest percentage of female candidates - 37.5%. That is closely followed by Nicola Sturgeon's SNP with 35.6%. Of Labour candidates, 34.1% are women. The party with the lowest proportion of female candidates is UKIP, with 12.5%. That figure is down from 2010, when 14.7% of UKIP candidates were women. From the other parties; 26.1% of Conservative candidates are women, 26.3% of Liberal Democrat candidates are women and 25% of Plaid Cymru candidates are women. The percentage of women standing across the UK's nations is broadly similar. The figure is highest in Wales, where 26.6% of candidates are female. In England, the figure is 26.2%. Within the English regions, London has the highest ratio with 30.4% of candidates being women. It is lowest in eastern England, where just 21.6% of those standing are women. Who is standing where you live? You can see a list of the candidates in your constituency here.